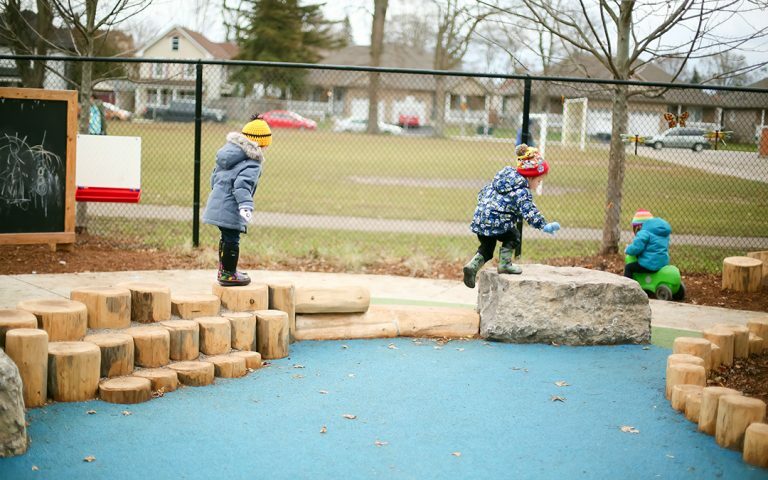 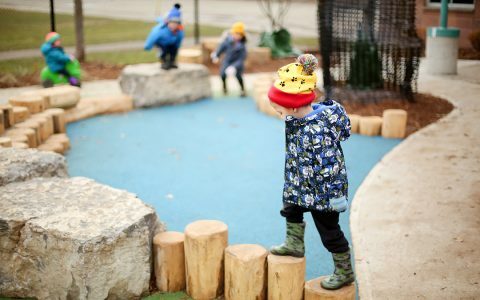 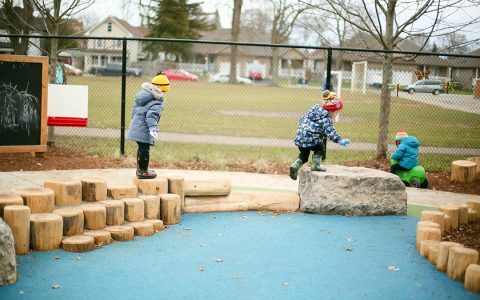 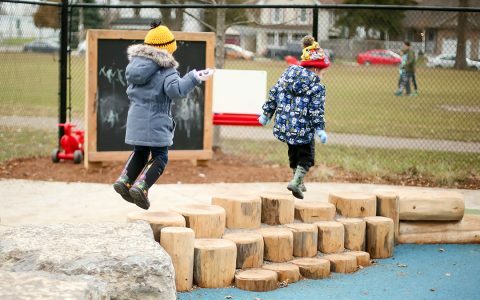 Drawing inspiration from the nearby Grand River, this natural playground at Saint Michael Christian Elementary School creates a multitude of play experiences for a wide age range. 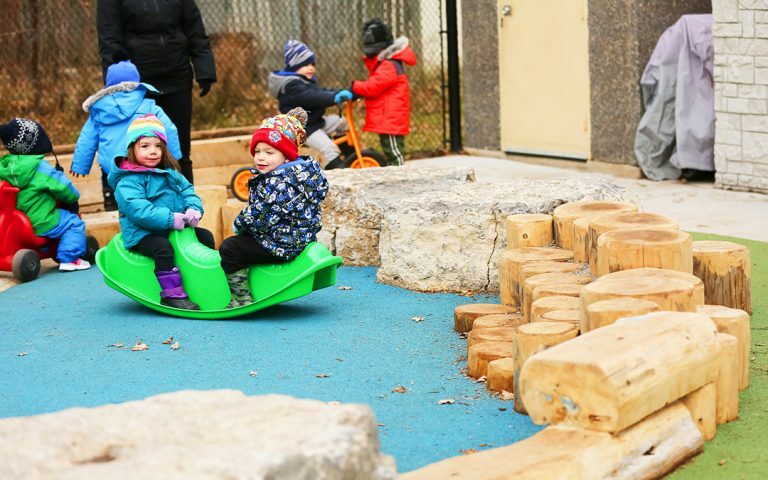 A centralized poured-in-place rubber mound, bordered by log steppers and armour stone, provides an adaptive space that can challenge children’s gross motor skills, allow opportunities for creative or imaginary play, and create a setting for socialization between children. 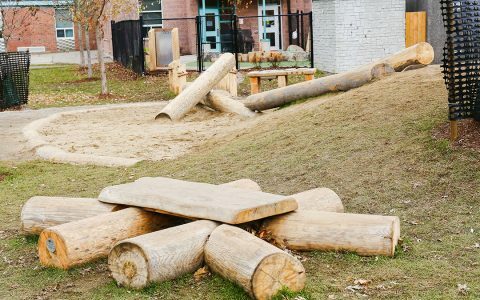 A new concrete trike loop that borders the central rubber mound mimics the movement and setting of a river as it twists and turns through the space, passing by ‘river banks’ of wood, rocks, and plants. 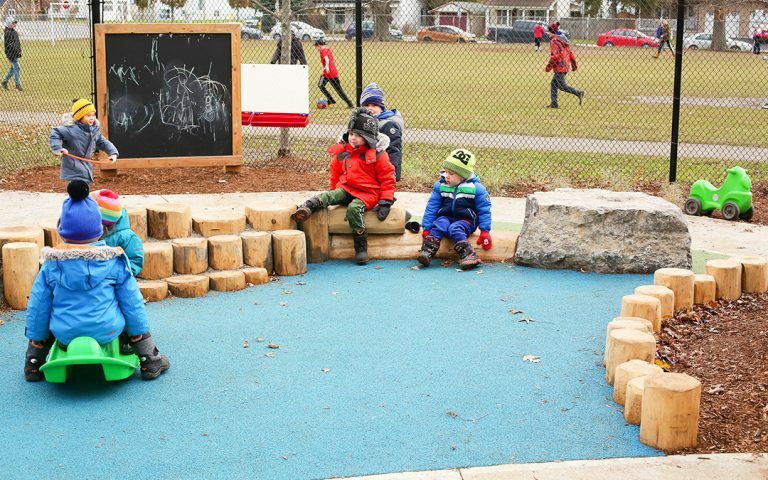 Incorporating plants into the play area provides an important connection between nature and children by stimulating their senses, creating educational opportunities, and casting much needed shade throughout the space. The inclusion of a chalkboard, log seating, and play posts provides a balance in play experiences. 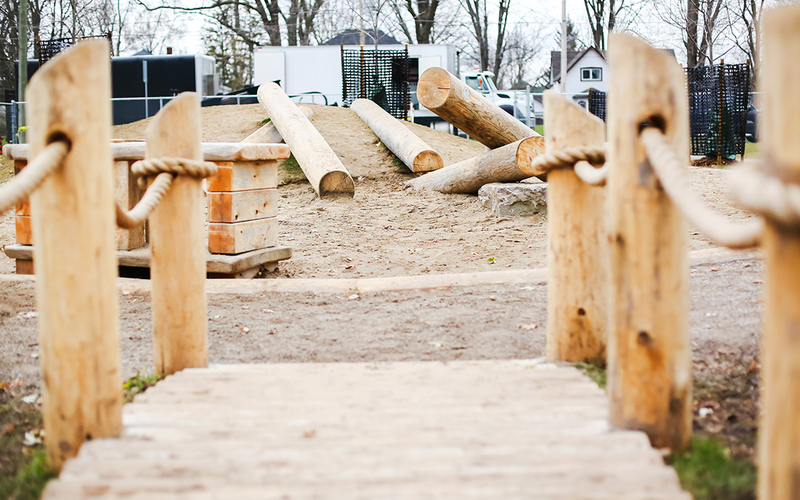 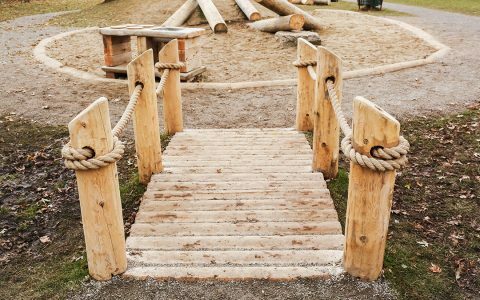 A limestone screenings path and corduroy bridge leads into a secondary play space featuring a central cedar log climber and berm. A generously-sized berm alongside newly planted shade trees creates a comfortable place to rest, read a book, or enjoy lunch with friends. 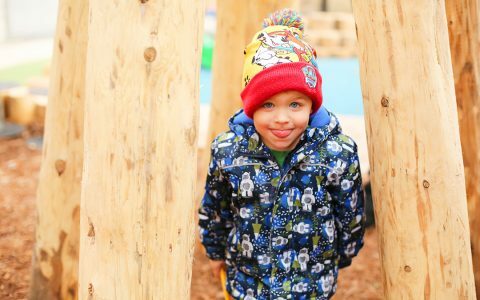 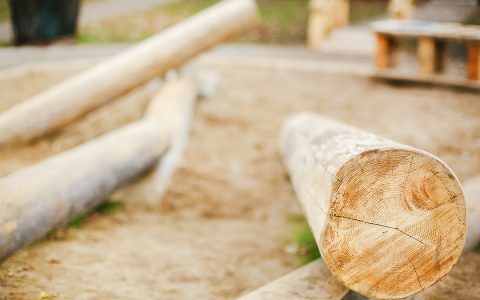 The cedar log climber challenges children’s gross motor skills as they clamber up and down the berm. 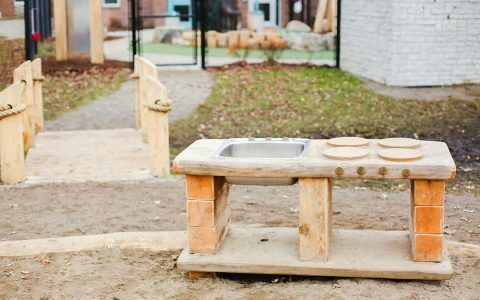 A log canoe and outdoor kitchen transform this playground into an imaginative world where children can paddle out into open water or use wet sand to bake a cake for friends. 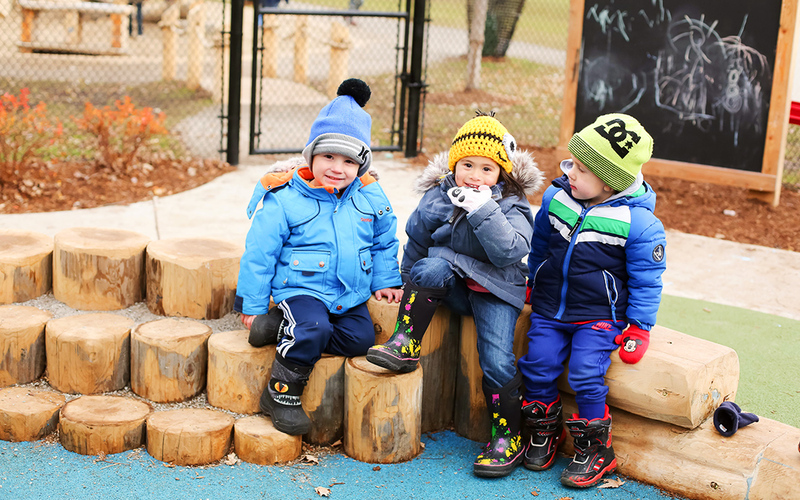 Horizontal log edging, a discovery table, and log benches provide ample seating and can be used for non-prescriptive play.